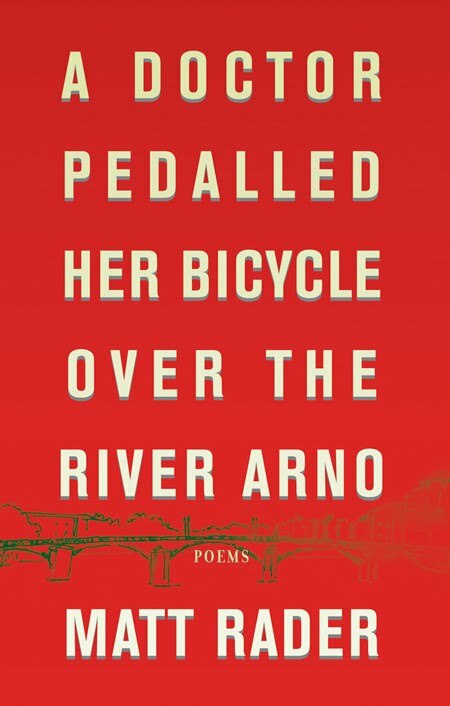 Matt Rader is a writer and instructor, and the author of a number of acclaimed books of poems: Miraculous Hours (Nightwood, 2005), Living Things (Nightwood, 2008) and most recently A Doctor Pedalled Her Bicycle Over the River Arno (House of Anansi, 2011). History plays an important role in your book. The last (and if I’m not mistaken, longest) poem “History” is a remarkable set of images in the same blender: past and present, elegant and somewhat crude, etc. But throughout the book history appears to be embedded in the landscape, still present like an echo even if there are no particular physical signs. Could you elaborate on this? And given that many of these poems concern Canada, do you have a particular fascination with (and feeling about) Canadian history? A very good teacher — one of the very best teachers I’ve ever had — told me that often enough the more one thinks about a topic the less there is to say about it. More specifically, the less there is to say that is true and not immediately shadowed by its opposite. This idea reminds in a way of Larkin’s lines for the married couple in bed: “At this unique distance from isolation / It becomes still more difficult to find / Words at once true and kind, / Or not untrue and not unkind.” This is how I feel about the topic of history. Not that I don’t want to talk about it but rather than I’ve talked about it so much with myself that I have very little left to say. One answer to your general question is that I have a love for narrative and history is obviously a narrative. But more than that: narrative is always a history. Narrative, even when turned towards the future, is always about “what happened.” (This is the kind of statement my teacher warned me against — I believe it to be true but I can easily see how it is not true). I also have a mildly peculiar vision of history as beginning in the present and coming to an end wherever the narrative clues start to dissolve in the past. This perhaps arises from my lifelong experience with ghosts. Not the supernatural ghosts (though I don’t discount those exactly) but with the sense of being affected by the echo of past events. This is mostly associated with places. A simple example is when I find myself standing in a place that I stood in years before. I feel, in some way I can’t explain and don’t care to explain, the presence of my earlier self. The final poem, “History,” which you allude to, addresses this experience directly as does “The Latin for Hunger” and less directly “Music.” The Canadian piece has to do, very simply, with me being Canadian. If I was Irish I’d have written about Ireland I suspect.